Mt Taranaki. Have you ever seen such a perfect sight? Originally named Mt Egmont by Captain Cook, Mount Taranaki became the alternative and equal official name in 1986. 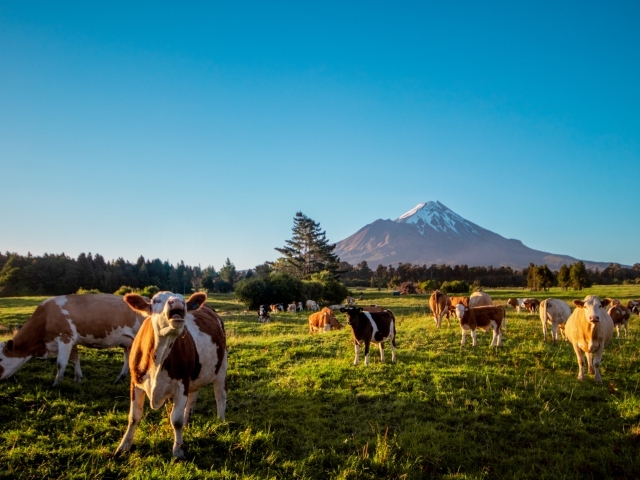 Having commenced activity approximately 130,000 years ago, Mt Taranaki is classed as a relatively young mountain. 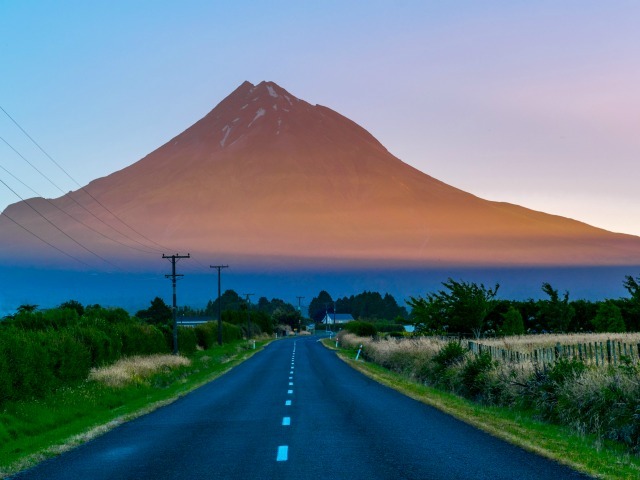 Mount Taranaki is sacred to Māori and has its fair share of stories to tell. 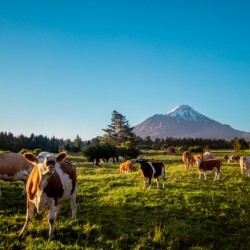 The name Taranaki comes from Tara meaning “mountain peak” and naki stems from the word ngaki which means “glistening”, referencing the snow covering the mountain. 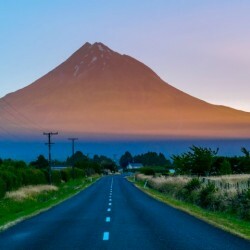 Mt Taranaki’s most notable story is the legend of the battle of mountains. Legend has it that Mt Taranaki once lived in the central plateau with the other mountains – Tongariro, Ruapehu and Ngauruhoe. Tongariro erupted in jealous fury as Mount Taranaki began flirting with the pretty lady hill named Pihanga. Taranaki fled to the west, carving out large rivers as he travelled through Whanganui before settling where he is now. 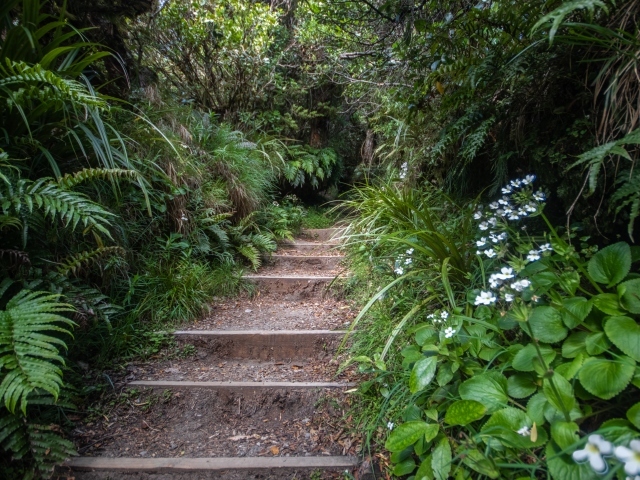 There are walking tracks galore in the National Park of Mt Taranaki. 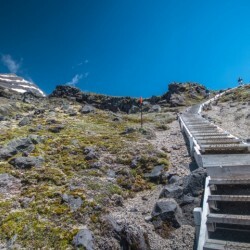 They range from 5 -15 minute easy strolls to 4-5 day circuit treks. 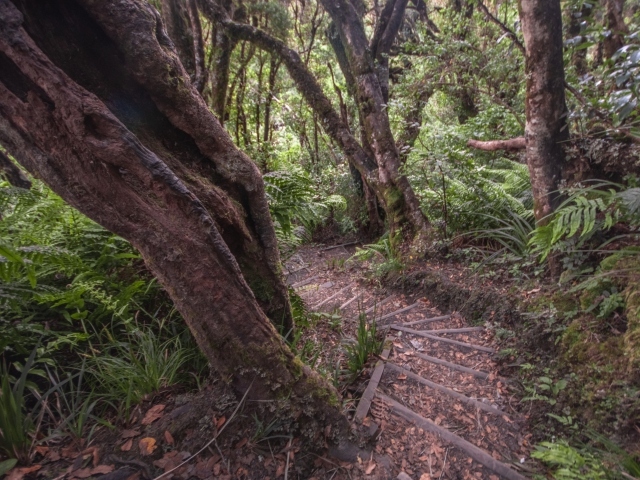 Due to the park’s high rainfall, the Mountain’s lower slopes are laden with moss and lichens that drip from the tōtara and kamahi trees as the enchanting walks wind their way through the “Goblin forest”. The alluring sounds you’ll hear from the trees come from the bountiful tomtits, tui, korimako and kererū birds. You’ll be spoilt for choice of tracks to explore at each of the Mountain entrances, it all depends on the time you have, and your level of fitness. At The Dawson Falls entrance, Kapuni loop track is a 1 hour round trip which cascades along the Kapuni Stream. 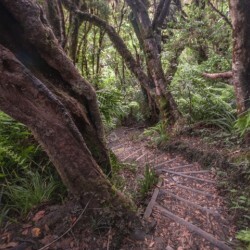 The Kamahi loop track at East Egmont, is a 15-30 minute walk through the Goblin Forest, perfect for children. At the northern entrance, the nature walk is another popular loop for families, only taking 15 minutes to complete. 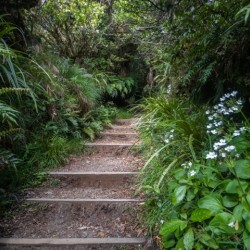 For experienced trampers, at the Northern entrance is the North Egmont Pouakai Circuit, a 2–3 day trek. The premier tramp offers spectacular views and has two huts for overnight stays. The 4–5 day Around the Mountain Circuit is a backcountry trek taking you through incredible scenery of the river, alpine and forest. The Stratford Mountain Club operates the Manganui ski field on the eastern slope. From the carpark, it is a 25 minute walk to the ski field. The season runs from June to October and is suitable for learners to intermediate skiers and snowboarders. The ‘no frills’ ski field is perfect for beginners as our mountain is rarely crowded with people. A visit to Taranaki just isn’t complete without a visit to Mt Taranaki . No matter the season, he will entice you with his beauty and leave you feeling at peace after a walk through nature, or a hike to unforgettable views. Read More at The Stratford Mountain Club. Curtis Falls is a stunning waterfall not far from Stratford. 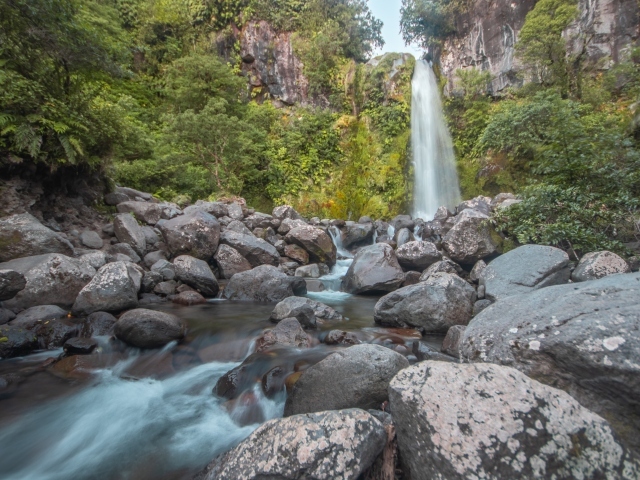 This less known waterfall is a scenic walk and a real adventure on the slopes of Mount Taranaki. 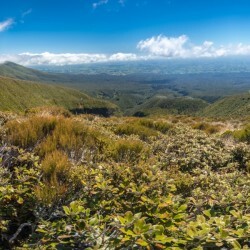 The Pouakai Crossing is Mount Taranaki's premier one day walk and takes in the highlights of the longer Pouakai Circuit. 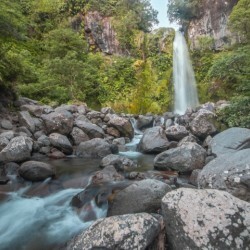 Dawson Falls is a 16-meter waterfall, the most popular one with Egmont National Park due to the easy accessibility. 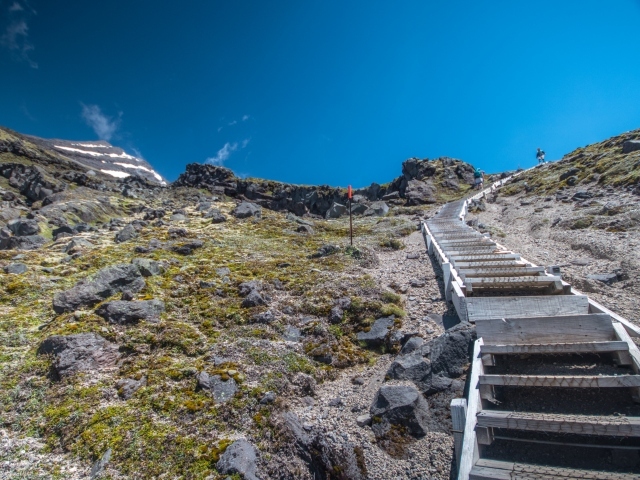 The weather on Mt Taranaki is fairly changeable so even if it is a beautiful sunny day when you head off, be prepared for any weather conditions. No, once you get to the carpark at any of the three entrances the signs and maps will give you all the information you need to choose the track for you. Not always. Depending on the weather, some days just a drive to the carpark can be enough of a day out to see snow, especially if you have young children and don’t want to walk too far. To do an overnight tramp you must have a good level of fitness and experience tramping. It is recommended you do it with a companion, and always let other people know your plans. To stay in the huts overnight you will need to book ahead of time.